If you need a place to park your car, store recreational gear, and pursue your hobbies, a custom garage is the way to go. While many homeowners consider tackling this project on their own, it pays to hire a local construction company. Here are just a few of the benefits of having professionals on the job. Why Hire a Contractor to Build a Custom Garage? A garage is one of the simplest structures to design and build, but it still requires a considerable learning curve. An experienced contractor will be at your side from the initial design phase to the last coat of paint, so you can enjoy a useful, attractive garage. A professional building crew has honed their skills when it comes to framing, wiring, plumbing, roofing, and siding. When you hire a trusted team, you won’t have to worry about rookie mistakes that might detract from the finished product. The best thing about hiring someone else to take on a building project is that you don’t have to do it. Free up space in your schedule and leave the hard work to someone else! With a professional construction company on the job, the custom garage construction process will go much faster. Not only will get to enjoy your garage sooner, but you can also return to daily life without supplies and tools cluttering your yard. While you might hope to save money by taking on a construction project yourself, this will only work if you complete the job properly the first time. Mistakes will call for costly repairs, so it’s better to hire a professional to do the job well in the first place. 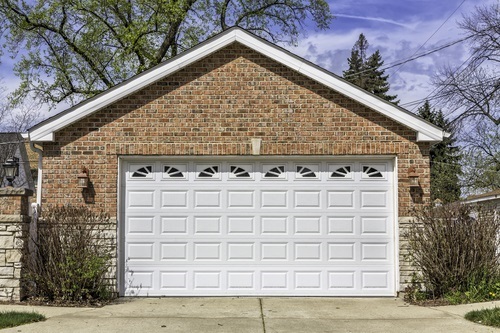 A custom garage can be a beautiful, functional addition to your property—especially when you hire a professional company to build it. Start contacting local contractors today so you can gather bids for your project. For over 20 years, Jay Bilt Construction in Livonia, MI, has served the metro Detroit area and all of Southeast Michigan. This family-owned business offers an experienced, skilled construction crew for building, remodeling, and repair projects. Whether you need new siding, a home addition, or a custom garage, they will be first in line to help. To discuss your project, call (866) 460-9700 or reach out online.